Shannon Murray will join KDFW-TV on January 25 as a reporter on Good Day airing at both 6am and 7am. Previously, Murray served as a reporter and fill-in anchor for KVUE-TV in Austin, Texas since 2012. Before that, she was a reporter for KOSA-TV in Odessa, Texas since 2010. 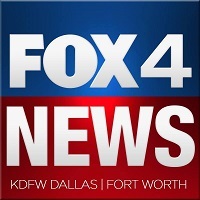 Fore more breaking news and stories from North Texas, follow FOX 4 News on Twitter.